Reducing the risks to humans and the environment from pesticide use is crucial to agricultural and environmental policy worldwide. In Switzerland, two popular initiatives are currently seeking drastic restrictions on the use of pesticides, and in 2017 the Federal Council adopted a national action plan to reduce risks. However, policy measures are only effective if based on measurable and meaningful indicators. A meaningful indicator makes it possible to classify pesticide applications according to risk. Only then can we identify appropriate measures such as restrictions on application, promotion of certain cultivation practices, or incentive taxes. But the social and political debate is dominated by quantity-based indicators such as kilograms per hectare. Such indicators are counterproductive because they overlook risks and may even obscure them. For example, pests are controlled with insecticides, which are applied in low doses but can be highly toxic. Vegetable oils are also used, which are only slightly toxic but sprayed in large quantities. Both the quantity and the risk of individual substances must be considered in order that we can take effective measures. A study from the USA showed that trends in pesticide use calculated from national statistics may even reverse. This depends on the indicator used; while the amount of herbicides used in the US has increased over time, the risks have decreased. In our new study, we have shown that quantity-based indicators cannot identify particularly high-risk pesticide applications as such. For the study, we tested the two most common quantity indicators (quantity per hectare and standard applications per hectare) and the in Denmark used risk indicator "Pesticide Load." The latter makes it possible to describe, extensively and in detail, the risks to humans and the environment. Based on Swiss winter wheat and potato production in the years 2009-2013, we calculated all three indicators in parallel. The analysis is based on observed application patterns of pesticides in various farms over several years, and so presents a realistic picture. We then examined whether the indicators that quantify the amount of pesticide used also allow an assessment of the risks. We calculated this using correlation coefficients and copulas. Correlation coefficients indicate whether there is on average a linear relationship between risk and quantity indicators. Copulas make it possible to investigate this relationship for applications with extremely low and extremely high risks in particular. 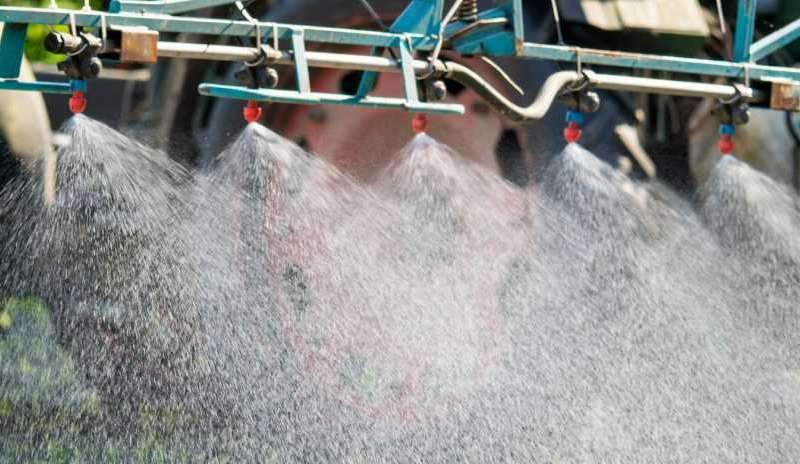 The results show that, on average, the larger the quantity of pesticide, the greater the risks. However, extremely high risks are not identified at all by the quantity indicators currently used – and that also holds true for politically controversial pesticides. Aiming at reducing high quantities or intensities is alone certainly not a meaningful strategy if we want to reduce the risks to human health and the environment. Stipulating for example that "the amount of pesticide applied must be reduced" is not helpful; on the contrary: the use of quantity indicators can lead to distortion and even to a reversal of the intention of the measures introduced by the policy. A sound (inter)national risk indicator is required for a sound crop protection policy. This is what is currently missing in many countries, including Switzerland. How can I wash all the pesticides off my food?